Happy Saturday! 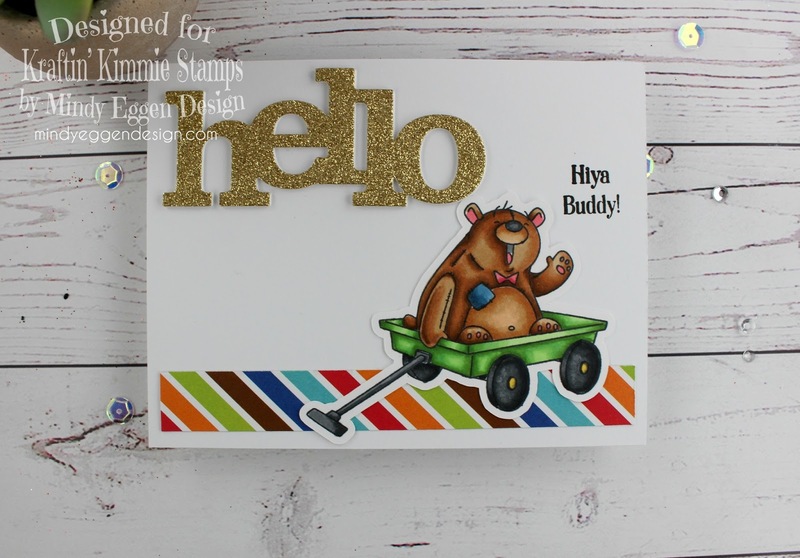 We are a new challenge starting up over at Kraftin Kimmie Stamps! Today is summer themed which I’m totally in love with. We’ve had horrible temps in my area…. – 20’s and that’s not even windchill!! Thankfully it has warmed up slightly to the 30’s and I will absolutely take it! It’s like a heat wave for me right now. Anywho – onto my card…. I used Buddy Bears for my summer theme. Anything that has to do with a cute little wagon screams summer to me. I stamped the image onto Neenah white cardstock with Memento Tuxedo black ink then colored with my copic markers. Once colored, I cut out with my Scan n Cut machine. My background for the card is pretty simple. I cut out the word hello from a die that I think is retired? I haven’t been able to find a link to it anymore but it was from Winnie and Walter. I die cut one in gold glitter cardstock and 3 more in white cardstock. Then I layered it all up for dimension. The bottom is just a strip of patterned paper from the Puppy Love Doodlebug collection with my bear added on top. 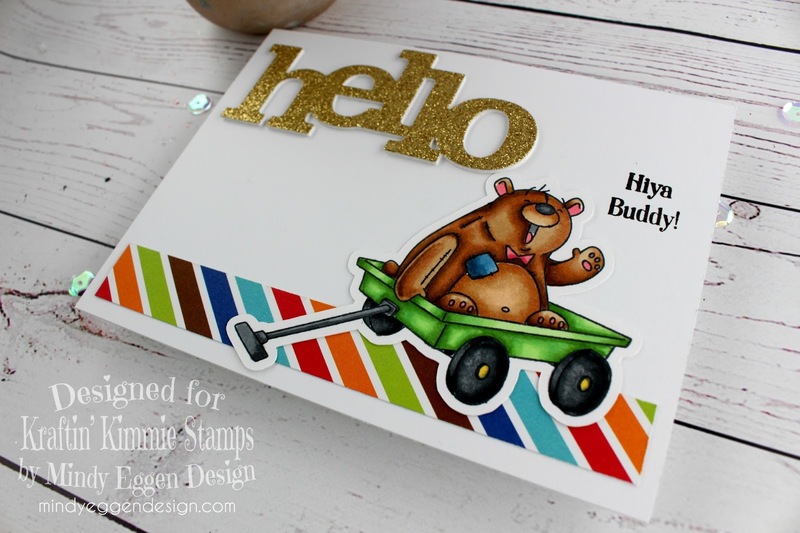 The sentiment is also from the Buddy Bears stamp set and fit great with the Hello die. Ya know what’s really awesome? This amazing stamp set is on sale this weekend!! Be sure to head over and check out the Frugal Friday Specials and snag up those goodies! Hope you enjoyed today’s card for the Summer challenge! Now it’s your turn! 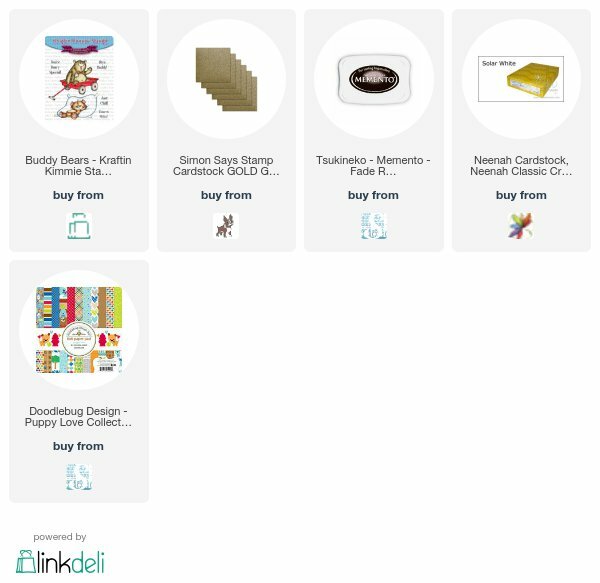 Create a card, scrapbook page, altered item etc. with a SUMMER theme and submit your design for your chance to WIN! You have until Friday, January 26th to enter this challenge! Keep in mind, all entries are welcome but you must use a Kraftin’ Kimmie Stamp in order to win.